NuGet Gallery | Packages matching Tags:"colors"
23 packages returned for Tags:"colors"
This small library allows more control on System.Console than using default one. Plus CloseColorFinder tool for mapping System.Drawing.Color structure to the closest possible color from console's 16 colors. And you can also easily edit those defaults. A small set of extension methods that make it easier to color text in the console. Just call a string with the color method you want, it will color the text in that color in the console window. 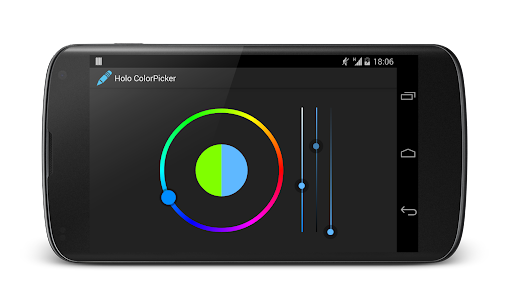 You can make several calls to different colors using concatenation or string interpolation. Text manipulation, JSON formatting, Console colors etc. Property editor for Umbraco 7+ showing and managing primary colors of uploaded images. 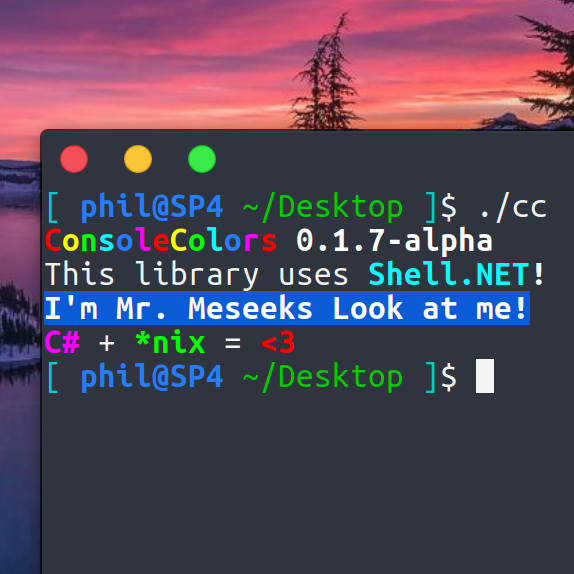 ConsoleColours is a package that eases the use of text effects in .Net console output. Effects can include changing the fore- and background colours, underlining text and making it bold and so on. Ansi Colors (ansi-colors) binding library for Bridge.NET projects.